Automotive-related products and technology made an immense impact on the recently-wrapped 2013 International Consumer Electronics Show in Las Vegas. New, improved apps operating with Ford SYNC AppLink, refined dash displays and even a self-parking Audi were part of the spectacle set to change the way we drive in the future. Claiming some major begging rights leaving the 2013 CES were two of North America’s major car brand. The 2013 Ford Fusion Energi was recognized as the most connected car for its plug-in hybrid flexibility. While the Blue Oval grabbed the headlines for an overall vehicle, the bowtie brand also gained accolades. The next-generation of Chevrolet’s MyLink infotainment system earned the recognition of CNET Best-of-CES Award among car technology displayed in Las Vegas this week. An advancement from the entertainment and information array introduced in 2012, Chevy MyLink’s 2nd generation system is geared for better functionality through a eight-inch touchscreen. 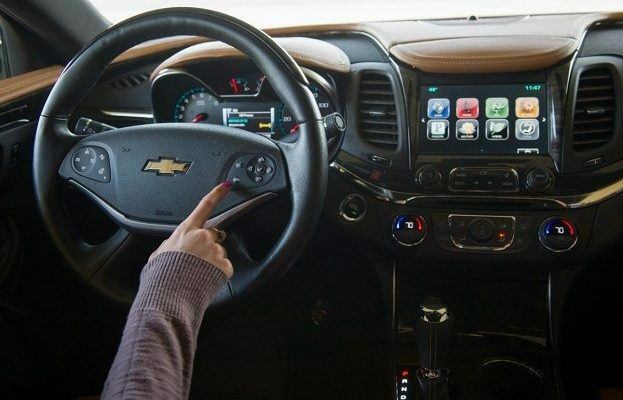 “Cabin tech interfaces receive a lot of criticism for being clunky, ugly and slow, but Chevrolet may have cracked the code by copying the smartphone,” said the senior editor of CNET Wayne Cunningham. The most user-friendly change coming to Chevrolet MyLink product is the incorporation of software that allows vehicle occupants to command the system through what is called “natural language voice recognition”. Instead of relying on specific phrases to activate functions through hands-free voice command, users of the new Chevy MyLink understands a wider range of voice prompts. General Motors advertises that the hands-free experience of the new Chevrolet MyLink would be like having a conversation with the vehicle. Other advantages with the next-generation Chevrolet MyLink system unit is the ability to store as many as 60 favourite radio station, contacts and other travel information. Up to ten devices can be merged with the Chevrolet MyLink system through either USB or Bluetooth connection. OnStar also receives added functionality on the new Chevy MyLink infotainment system with an icon included on the eight-inch display screen in addition to the traditional blue button. For a long time, have grown accustomed to see a model of automobile change significantly in a minimum of three years. When it comes to in-car infotainment systems, the push for advancement has caused a modification to that industry rule. It seems all automakers have realized it is not acceptable to wait until a mid-cycle refresh or vehicle redesign to introduce improved technology to customers. Ford Motor Company wasted little time to create an updated version of MyFord Touch in response to customer concerns in 2011. In the case of the new edition of MyFord Touch, the auto manufacturer prepared a software upgrade to new as well as already-sold vehicles. 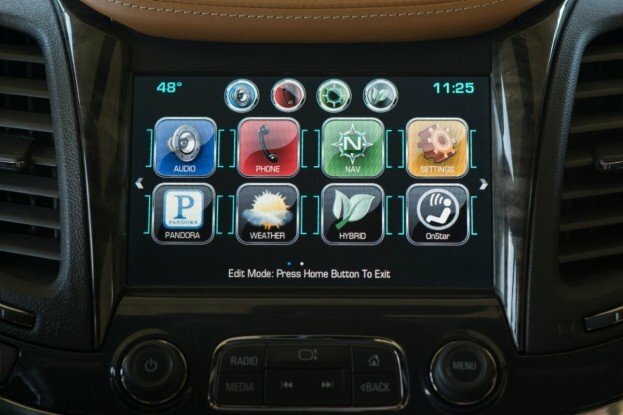 The 2013 CES also saw another announcement come from Chevrolet in regards with technology. Touted as a global radio hub, TuneIn will provide drivers of the new Chevrolet Spark, Sonic and other MyLink Radio-enabled vehicles with 70,000 stations. With TuneIn, it is possible to stream radio broadcasts from a large list of countries around the world. 2 Comments on "2013 CES Automoblog Coverage: Chevrolet MyLink’s Enhanced Connections"
As much as I love the MyFord system, I have to say that Chevy is onto something here. I find it interesting that the Fusion Energi won the most connected car award even without having the ‘best in car’ technology in it!